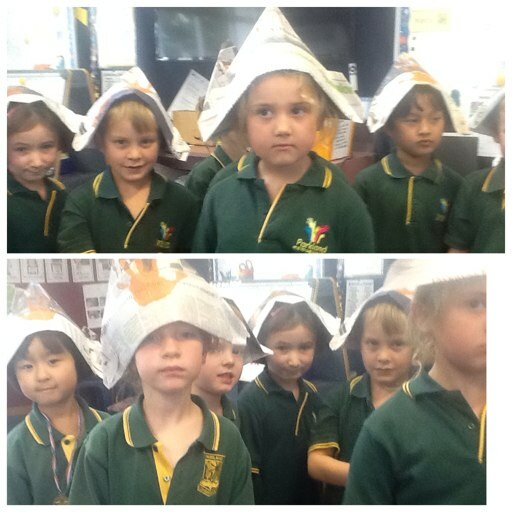 Room 10 came to visit us today to show us their hats. They are our buddy class. I like their hats. H for hat and H for hand. I like your hats Room 10 there very cool.